Legacy Advisors is dedicated to providing comprehensive, transparent financial planning and wealth management to a select group of Self-Made Entrepreneurs and Small Business owners throughout the "South Shore" areas of Chicago, NW Indiana, and SW Michigan. As an independent, fiduciary firm, we are 100% focused on delivering what is best for you. We work directly with our clients on a consultative basis, with a specific focus on business, life, and financial transitions. We believe the Financial Planning Process to be highly individualized. Before trying to understand your numbers, we strive to understand you. The close relationships we have with our clients serve as the foundation for all future planning, enabling us to provide tailored financial advice, customized portfolio management, and personalized services. Our team of professionals is here to help walk you through the many aspects that make up financial well-being. By utilizing our entire staff for each individual client, we are able to provide rapid communication, quick access, and a more hands-on, intimate advising experience that brings clarity to your specific goals. We work on your behalf with the myriad of advisors that surround you, ranging from lawyers to accountants to insurance professionals. We speak the language that makes those relationships work well together in a coordinated fashion, allowing all of your advisors to work together to help you work towards your goals. 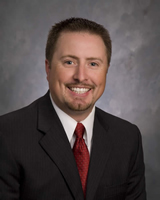 Chris Winkler is the President of Legacy Advisors. He brings more than 20 years of experience in providing proactive wealth planning and asset management counsel to the firm’s clients. Chris leads our experienced team of advisors with a wealth of knowledge related to portfolio design, risk management, estate and tax minimization strategies. Legacy Advisors currently manages investments for institutions, endowments, and private investors throughout the United States. 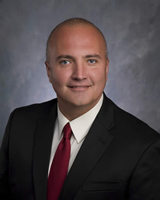 After attending Purdue University, Chris began his career with a national investment firm in 1996. As Senior and Executive Vice President his responsibilities included strategic account management, enterprise marketing, and advisor development. He has been a keynote speaker for numerous industry-best practice symposiums, speaking in front of as many as 15,000 attendees. Chris has also served on numerous non-profit boards throughout his career. "Our commitment is to operate and provide a World-Class experience for both our clients and our advisors. We recognize and value the trust our clients place in us and the responsibilities that come with this. With these priorities, we work hard to be a proactive resource, providing industry leading concepts and service." Chris enjoys maintaining an active lifestyle with his family away from the office. He & his wife, Lauren, enjoy fine dining, travel, golf and are sports fan of all things Chicago. I began my career in financial services over a decade ago after serving 6 years in the US Navy’s nuclear field. While in the Navy, I developed an interest for learning the rules of money and investing. Being the first major step in my working career, I knew that I wanted to start the good habit of putting money away systematically early in my working life. What started as just an interest very quickly turned into a passion, and as I continued learning more, I realized this was the career route I wanted to take when I was finished with my service time. During my last year of service, I was able to gain valuable financial counseling experience when selected to become certified as a Command Financial Specialist for the submarine USS Michigan. Upon leaving the military in 2005, I joined a national investment firm, where I had roles in branch development, compliance, product training, and rep development. In 2009, I was recruited by Legacy Advisors. As Director of Operations, my role includes support to many areas of the firm, including portfolio design and research, account servicing, and branch compliance. Although I completely understand that money and investing can bring with it emotional challenges to many people, I take great pride in our duty to operate with a scientific priority to portfolio design, holding a high regard for research, process, and time-tested data. At Legacy, we know that clients benefit most when we combine this research and experience to solve their investment needs. This is what keeps me passionate about the work that we do. My wife Kristina and I love of the many beaches, trails, and natural environments of the Indiana Dunes area on Lake Michigan, which is why we planted our flag in Miller Beach, IN. We share a dune-top home with our many rescued four-legged children. I hold General Securities Representative (Series 7) and Uniform Combined State Law (Series 66) registrations, and also maintain a state Life, Accident, & Health Insurance license. Ralph Flores, Jr. joined Legacy Advisors in 2009 and brings many years of management experience to the firm. Ralph is the principal of our affiliate, Legacy Advisors Benefits Solutions, which serves to provide the critical liability needs for both the individual and group insurance segments. 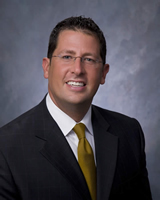 His expertise includes providing comprehensive liability solutions including health, life, dental, accident and disability. Ralph also serves his community as an elected member of the North Township Board, is a life-long member of the Serbian National Federation and was past Commissioner for the Indiana Commission on Hispanic and Latino Affairs. Prior to joining Legacy Advisors, Ralph worked in Indianapolis for a ten year period, where he was a partner in a sports marketing firm that specialized in managing foundations for professional athletes. Upon his return to Northwest Indiana to be closer to family, Ralph earned his Property & Casualty, Health and Life insurance licenses & began his work providing comprehensive solutions for our valued clients. Ralph grew up in Northwest Indiana, graduated from East Chicago Roosevelt High School and earned his B. S. in Public and Environmental Affairs from Indiana University. Ralph resides in Munster. He and his wife Tina have been married for 10 years and have two young daughters. He is an avid sports fan, most prominently as a fan of college basketball. In his free time, he enjoys bike riding, travel, golf and spending time with his wife and daughters. Our goal is to make the process of dealing with your finances as stress-free as possible, and one way we do this is by meeting with you in whatever manner is most convenient and comfortable to you. We are located in Northwest Indiana, however we are happy to work with clients in person, virtually via the internet, or over the phone—typically it's a combination of methods to make things easy on everyone involved. For over two decades, Loring Ward has provided portfolio management and back-office services to some of America’s most knowledgeable and successful independent financial advisors and their clients. These services include client reporting, portfolio management, operational processing, securities trading, and educational and training support. Loring Ward’s support services allow advisors to spend more time working with clients and less time dealing with the day-to-day management of operational details Legacy Advisors receives a high level of service from Loring Ward including a dedicated administrative team assigned to servicing the needs of our firm and our clients. Loring Ward is headquartered in San Jose, California. Investments are not available directly to individuals but are limited to clients of a select group of financial advisory firms. Our relationship with Dimensional Fund Advisors is based on shared views about how capital markets work and how best to provide clients with a successful investment experience. National Financial is a pioneering firm with a long history of working with independent financial advisors. They are one of the largest providers of dedicated custodial services to the independent investment advisor community. As a Fidelity Investments company, National Financial put the strength, resources, and experience of one of the world's largest providers of financial services to work for you. Investments in technology to offer the scale and scope that helps firms drive efficient results and manage costs. Financial strength with net capital of $2.7 B, exceeding requirements by $2.2 billion. Envestnet is a leading provider of integrated portfolio, practice management, and reporting solutions to independent financial advisors and institutions. Our open architecture platform encompasses a broad range of institutional research, investment products, and advisory resources. As of October 1, 2014, the firm has grown to serve more than $683B in total platform assets and nearly 2.8 million investor accounts. With more than 2,000 independent advisors, Securities America is one of the nation’s largest independent broker/dealers providing our firm with critical compliance and regulatory support. 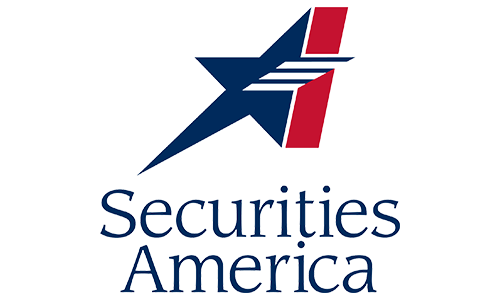 Based in Omaha, Nebraska, and founded in 1984, Securities America prides itself on providing exceptional service, focusing on doing business in a friendly, efficient and effective way. Our goal is to work with you to develop a conflict-free model that reduces your involvement, takes the emotion out of investment decision-making, and guides you to pursue decisions that better help you work towards your goals and needs. Our management fee is a percentage of your assets under our management. It is not dependent on particular products or investments and is adjusted based on portfolio size and complexity. We feel this is the most appropriate structure as it keeps our objectives in line with your objectives as a client -- our compensation rises only if the value of your account rises. Our goal is to have clients "for life," which is only possible if we are constantly focused on doing right by you. Wealth management is a process built around financial planning and asset management. At Legacy Advisors, we view these two approaches as inseparable components of a successful financial life. After many years working with clients, we understand that over your lifetime there will be economic, political, and market events that create significant emotional hurdles, oftentimes leaving you wanting to make a quick decision regarding your finances. We keep you focused on your long-term goals and ensure you don't get in your own way. We believe the true value of a financial advisor manifests itself as being a behavioral investment counselor. We help to bridge the behavior gap- the difference between returns of an investment vs. the returns of the average investor. The bottom line? We keep you accountable to your future self, making sure you stay focused on what's truly important. Whether looking to plan for retirement, saving for your child’s college education, or managing wealth, at Legacy Advisors we work directly with you to meet your needs and come up with a tailored financial solution that best addresses your goals. Financial wellness is all about balance. You have dreams and goals for your life, but you also have the day-to-day minutiae of your life to attend to. That's where we come in - we are your trusted advisor, providing you with the guidance you need so you can have confidence in knowing you’re on track. At Legacy Advisors, our Investment Philosophy is based on almost nine decades of data, analysis and research, insights from behavioral finance, and close relationships with leading academics. Investing makes it possible for many of us to pursue important lifetime goals. A better wealth experience requires a consistent investment approach based on financial science and grounded in real- world results. Because you cannot control the market, you should make sure you have a long term plan in place with the goal of capturing market returns while pursuing your deeply held goals. Accordingly, our long-term investment strategies are well diversified, low cost, tax efficient, and strategically rebalanced so as to best reflect your risks, goals, experience, and time horizon. We call this approach Asset Class Investing. We can work both virtually, or in person. Centrally located for your convenience less than an hour drive from Chicago, St. Joseph, MI, or South Bend, IN. Take exit 31 for IN-49 toward Chesterton/Valparaiso.